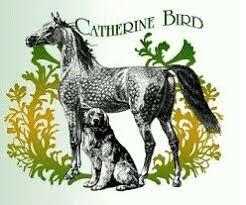 ﻿ Keeping a Horse The Natural Way - Catherine Bird - Fabulous Book- Now out of print ! Keeping a Horse The Natural Way - Catherine Bird - Fabulous Book- Now out of print ! Catherine Bird has led the development of equine natural therapies in Australia and is in worldwide demand as a practitioner, lecturer, and teacher. Her extensive experience is founded on many years of working with dressage, jumping, eventing, endurance, pony club, and international-level competition horses. She has also treated old companion horses and thoroughbred racehorses, mounted police horses, and balloted mounts at the 2000 Paralympic Games. She is a regular contributor to magazines and lives in Australia. Just as more and more people are embracing a more natural approach to their health and wellbeing, many horse owners are turning to natural therapies to keep their animals healthy and happy. Natural therapies can improve a horses vitality and quality of life, bring balance to the body systems and emotions, help prevent illness, and assist in the long-term management of chronic disease states. A Healthy Horse the Natural Way will help you interpret your horses health issues as they arise, and go beyond merely treating the symptom to finding the underlying cause. Catherine Bird also teaches how and when to use a combination of natural therapies, and how to use them in conjunction with veterinary treatment. This practical handbook will add new dimensions to your horse's health and help you develop an increasingly harmonious relationship with your horse.